WordPress 4.5 will be released in first half of April, and it is a great time to test all the plugins with current WordPress 4.5 Release Candidate. I have been testing Dev4Press plugin with the new version, and this will continue in the next week too. 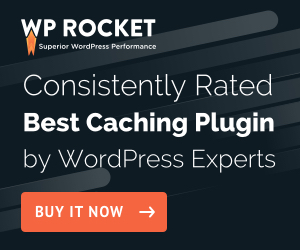 WordPress 4.5 adds some changes that might affect plugins (newer jQuery version among others), and all plugin should be checked to avoid problems when new WordPress is finally released. Over the past week, I have been testing all Dev4Press plugins, and that will continue until WordPress 4.5 is officially released. Some of the plugins are completely OK, and for some there are minor jQuery related issues, and they will be updated next week. This includes GD Clever Widgets Pro, Dev4Press Updater, GD WebFonts Toolbox Pro, GD Swift Navigator Pro. Two older plugins: GD Custom Posts and Taxonomies Tools Pro and GD Products Center Pro are expected to have some issues, and they will be fixed if needed. But these two plugins will soon get a complete makeover so they can also take advantage of the interface and structure used by all other plugins. GD Custom Posts and Taxonomies Tools Pro 5.0 is expected in early May and GD Products Center Pro 2.0 in late June or early July. If you notice any issues with upcoming WordPress with any of Dev4Press plugins, please let me know and make sure to describe the problem in detail and include errors that might be raised.